A summit, a run & white water tubing! Joe and I had a super busy weekend, starting with a double date on Friday. Mini fish tacos and mango chicken for the win! 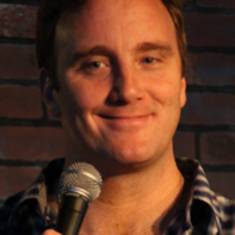 We met for an early dinner and then a comedy show…have you heard of Jay Mohr? He’s been in a bunch of movies….so funny! We slept a little later than planned on Saturday, so we changed our plans at the last minute. We had a full day of climbing planned, but decided instead to hike a 14er! We did Mt. Evans and the views were incredible! Sunday morning we were up to beat the heat and get in our long run. 8 miles use to sound like nothing, but after 4 months off, it’s a bit of a daunting number. We are trying to do all of our long runs on trail and at higher altitude, so we headed to Waterton Canyon trail. It runs along a river which makes for really nice scenery. It’s a small incline the whole way, which definitely worked the legs. We definitely took it very slow and I struggled a bit, but we got it done! Week 2 of marathon training in the books! After running, we grabbed breakfast and then decided we needed to get into some water somewhere. We headed to Golden, bought some tubes and basically white water tubed down the river. No pics, because I didn’t want to get my phone wet, but looked a little like this.